Leavening agents are the substances that allow bread dough to rise. The leavening agent converts the natural sugars in the flour into gas bubbles, which expands the strands of gluten in the dough, causing it to rise. A natural starter is a mixture of flour, water, and yeast, which are allowed to ferment for varying periods depending on the type of bread being made. Some starters do not contain commercial yeast, but only flour and water and rely on airborne yeast for fermentation. 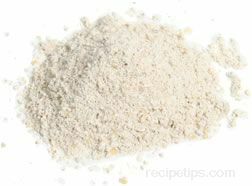 Active dry yeast is a granular yeast that is usually available in small packages and must be activated in warm water before adding to the flour. Also known as instant yeast, quick-rising active dry yeast is a granular product available in small packages that can be added directly to the flour and other ingredients without having to be activated in warm water first. Also known as fresh yeast or compressed fresh yeast, cake yeast is sold in small, dense, crumbly cakes that are very perishable, so it must be used as soon as possible; however, it can be stored in the freezer for later use. If the cake yeast does not have a fresh scent or it is not moist and firm, it should not be used. Baking powder is a leavening agent made of sodium bicarbonate (baking soda, an alkaline ingredient), cream of tartar (acidic ingredient), and a starch, such as cornstarch (for preventing clumping of the powder). It is most often used in quick bread recipes that contain no acidic ingredients. Baking powder reacts immediately when combined with a liquid so it is mixed with the other dry ingredients before any liquid ingredients are added. It is often referred to as double acting baking powder because it causes two separate rising actions to occur in the dough or batter. The first reaction occurs when the baking powder is mixed with liquid ingredients causing carbon dioxide gas to be produced, which causes the batter or dough to rise. Further expansion occurs when heat is applied during the baking process. As an acidic ingredient, cream of tartar is often used in conjunction with baking soda, an alkaline ingredient. The most common liquid use in bread recipes is water, but depending on the recipe, many other types of liquid ingredients may be used in conjunction with, or in place of, water. After water, milk is perhaps the most commonly used liquid in bread making, producing breads with a soft texture. Liquids such as buttermilk, yogurt, cream, and sour cream are used in some breads and not only help to activate the yeast and form the dough, but also add a rich flavor to the bread. Many bread recipes call for eggs in combination with other liquid ingredients or as the only liquid ingredient. Eggs enrich the bread, but when used as the only liquid ingredient, the bread will quickly dry out. Fruit juices provide a slight sweetness to bread and are often used in quick breads, such as tea breads and muffins. Vegetable juices are sometimes used in savory breads and occasionally are an ingredient in sweet quick breads (i.e. carrot juice for carrot bread). Occasionally, beer and ale are used for some full-flavored, heavy yeast breads. Most bread recipes list salt as an ingredient. Salt inhibits or controls the rate of fermentation in the dough and it enhances the flavor of the bread. Even sweet tasting quick breads contain salt (as do most sweet baked goods, such as cookies and cakes). When used as an ingredient for dough, it is usually dissolved in water first so that it is easier to combine it with the other ingredients. Some bread recipes call for coarse salt or Kosher salt to be sprinkled on the dough before baking, which results in a flavorful crust. Several fats and oils are commonly used in bread making, but the rate of fermentation and rising of the dough is slowed because of the presence of the fat or oil. One of the most commonly used fats in bread making is butter, which adds a rich flavor to bread. Excessive butter will also create bread with a golden color. Some cooks favor unsalted butter while others use salted for the same type of bread. Margarine may be used in place of butter, but it does not provide the same rich flavor. 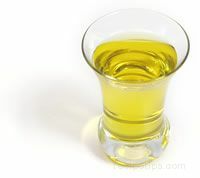 Olive oil is used in bread making in many parts of the world, especially in countries bordering the Mediterranean where it is used in breads as commonly as butter is used in other regions. A number of vegetable and seed oils, such as plain vegetable oil, sunflower, canola, and sesame, are used in many types of breads. 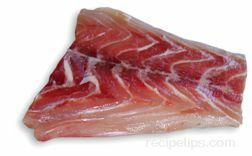 Shortening is sometimes used in quick bread recipes, such as soda bread or wheat tortillas. Granulated sugar is the most often used sweetener for many varieties of bread. Sugar was once commonly used in bread to provide food for the yeast, but modern yeast products do not require the addition of sugar to enhance the fermentation process. Brown sugar is sometimes used to add flavor and color to bread, especially in heartier whole-grain loaves and in some quick breads. Honey is most often used in quick bread recipes and some yeast breads. Molasses is used occasionally as a sweetener, especially in New England breads, such as Boston brown bread and Anadama bread, and in many types of American and European rye and pumpernickel breads. Several grains are used to produce syrups, which generally have a mild, sweet flavor, but have less sweetening power than granulated sugar. Syrups, produced from barley, rice, and sorghum, have a consistency similar to molasses and are occasionally used for some bread recipes. There are a wide variety of other ingredients that are used to add flavor to a number of breads. Some yeast breads and flat breads are occasionally enhanced with additional flavors, while quick breads and festive breads usually contain multiple ingredients that add flavor and texture. Fresh or dried herbs are often used in bread making to add flavor. Spices are used in bread making to add color as well as flavor. Chopped fresh or dried vegetables add so much flavor, texture, and color to breads that they are often used in many types of savory breads. Chopped fresh fruits, whole berries, and dried fruits add flavor, texture, and color. Nuts are usually chopped and incorporated in the dough or placed on the surface as a decoration. Seeds are usually sprinkled on the surface of the dough as a decoration and to add flavor and texture. Poppy seeds are commonly added to quick bread batters, especially lemon quick breads and muffins. Fresh or candied citrus zest can be used to create a strong citrus flavor in the bread, or it can be used as an attractive decoration. Chocolate provides a rich, sweet flavor to some breads. Various extracts, such as vanilla and almond, provide concentrated flavor, so a small quantity goes a long way. The alcoholic content of spirits is eliminated during baking but the flavor remains.